Can you imagine a life without watching the news? Every morning, millions of people all over the world prefer to start their day watching, listening, or reading up on the latest news. They believe that it will come in handy at some point throughout the day. However, they don’t realize that sooner or later, their excessive curiosity can play a mean trick on them. The danger of untrustworthy news is that the public can become misinformed. 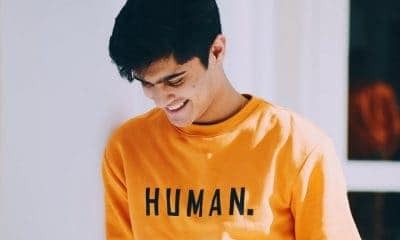 Misinformation might inspire people to foster unhealthy relationships towards each other based on class, gender, race, or sexual preference. People might also use that same information to make important decisions, such as who to vote for during elections, or what bills to pass. In essence, mainstream media could use all sorts of psychological tricks to influence public opinion. This might have an effect on the future of the country. This is why political bias in the media is such a hot topic today. Thinking requires concentration – and concentration requires uninterrupted time. News pieces are specifically engineered to interrupt and disrupt your daily routine. That’s why every time you turn on the television to watch it, every story is “Breaking News”. They’re like viruses that steal attention for their own purpose. The news can make us shallow thinkers. 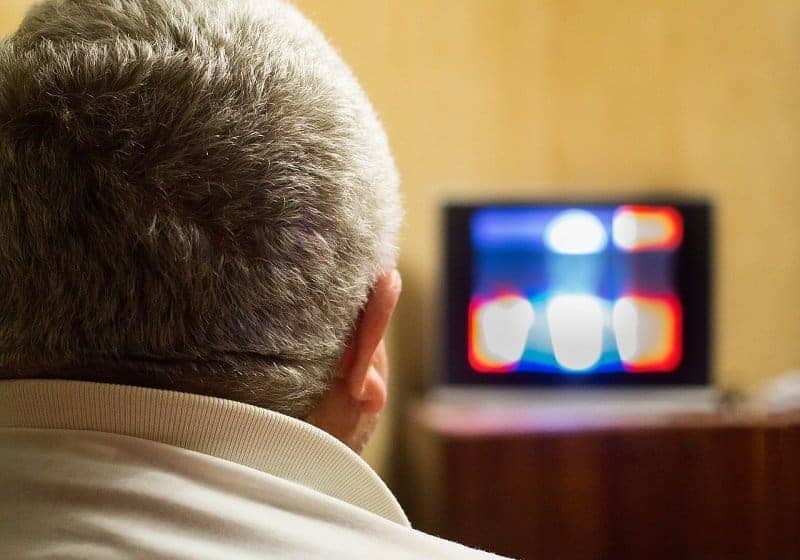 It gets worse than that: News also affects short- and long-term memory. The path from short-term to long-term memory is essentially a choke-point in the human brain. If this passageway is disrupted, nothing gets through. 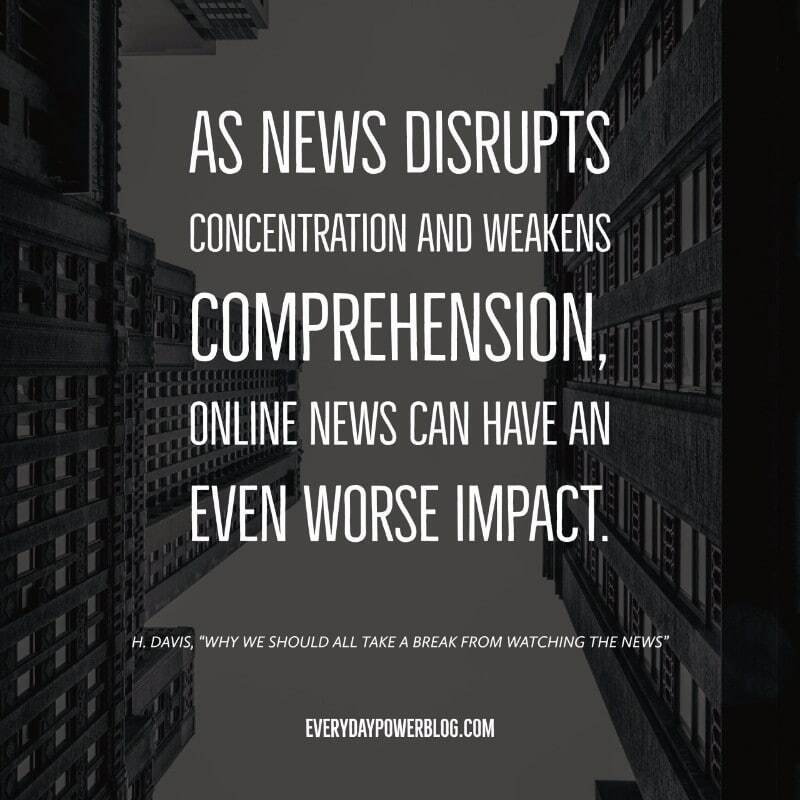 As news disrupts concentration and weakens comprehension, online news can have an even worse impact. In a 2001 study, for instance, two scholars in Canada showed that comprehension declines as the number of outside sources in a document increases. When a link appears within a document, your brain has to make the choice not to click on it, which in itself is distracting enough. This is why so many people believe that news is an intentional interruption system. News stories can be overwhelming. They oftentimes cover topics we have NO control or influence on. 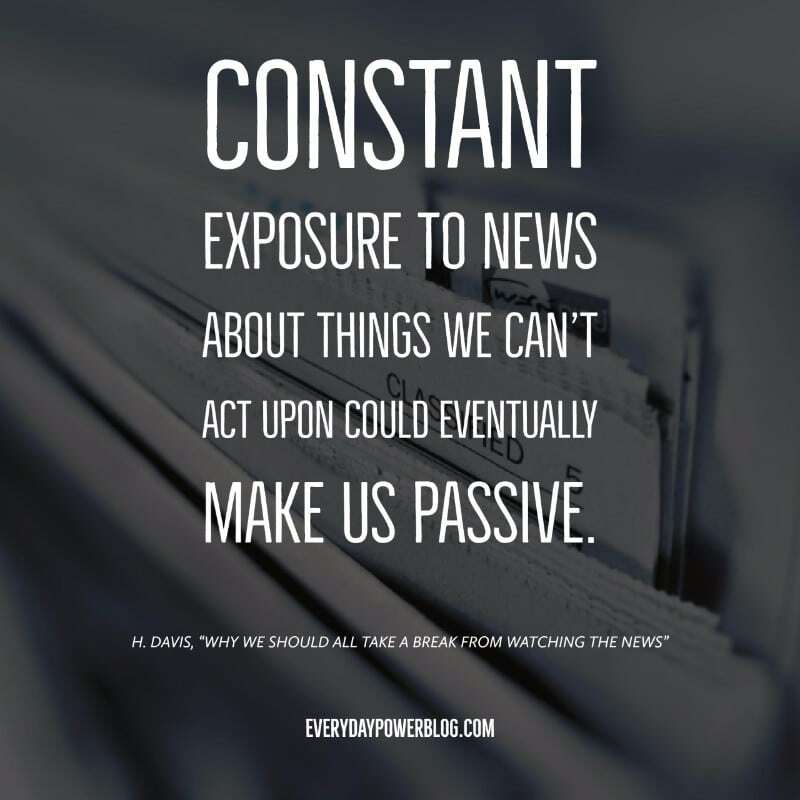 Constant exposure to news about things we can’t act upon could eventually make us passive. So when something does come up that we can act upon – like helping the 8.6 percent of the U.S. Veterans overcome homelessness and disabilities – we usually show minimal support. This word is used to describe a condition wherein one believes that he or she is helpless in a particular situation. Although it might be a bit of a stretch, don’t be surprised if news consumption contributes to widespread depression. So learn to take a break from it from time to time. Believe it or not, the things we already know can limit and even cripple our creativity. 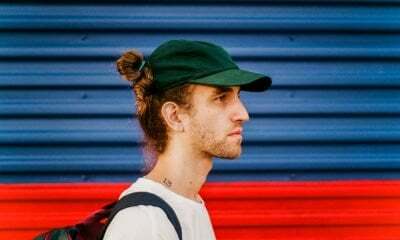 This is one of the many reasons artists, novelists, and entrepreneurs often produce their most creative work at such a young age. 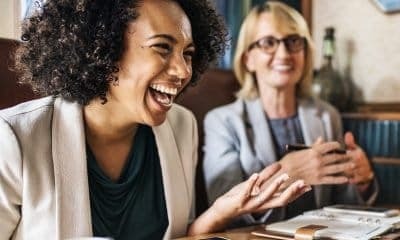 Their brains enjoy a wide, uninhabited space that emboldens them to come up with marvelous ideas. Society needs more journalists – but in a different way. An investigative journalist is always more relevant than those who report the same information week in and week out. 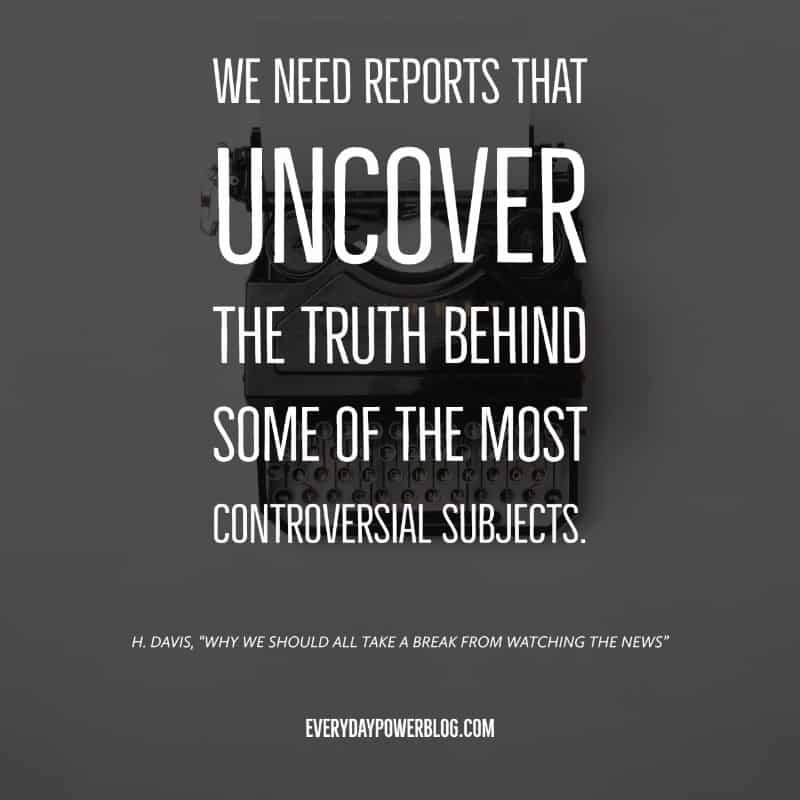 We need reports that guard our institutions and uncovers the truth behind some of the most controversial subjects. Important findings, however, don’t have to arrive in the form of news. Long journal articles and books are good, too. Take a break and pick up a good book today. According to Ohio University, stress has become one of America’s leading health concerns. So constant stress from the news will continuously trigger the limbic system. This will deregulate your immune system by increasing the production of cortisol and other stress hormones; thus inhibiting the release of growth hormones. Your body will find itself in a state of chronic stress. High glucocorticoid levels cause digestion problems, lack of growth (cell, hair, and bone), extreme nervousness, and susceptibility to infections. Other potential side-effects might include aggression, fear, tunnel-vision, and desensitization. In the end, do your best NOT to be consumed by the news. 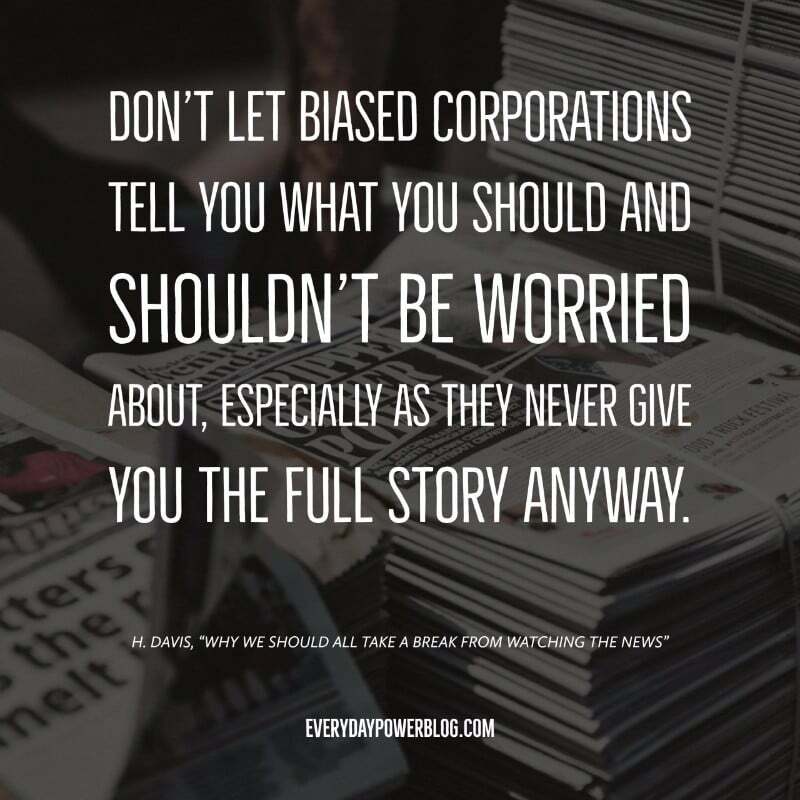 Don’t let biased corporations tell you what you should and shouldn’t be worried about, especially as they never give you the full story anyway. Finally, waking up early and turning on the news just to hear about a tragic story can leave you feeling down for the rest of the day. Rather than having someone tell you what to feel, take a break. Just go about your day and see what life has in store for you. Thanks for the read! Did I miss anything? What are some other reasons why we should take a break from watching the news? Feel free to leave a comment below.